Aspire Breeze 2 All In One Vape Kit. 1ct. Contents: 1 x Breeze 2 Device 4 x Extra O Rings.. Aspire Cobble Pod System Vape Kit. Colors May Vary. 1ct. Contents: Cobble Device USB Char.. Aspire PockeX Pocket All In One Vape Kit. Color May Vary. 1ct. 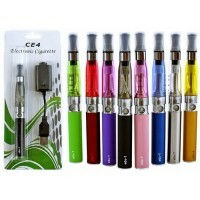 Includes: 1 x PockeX Device ..
CE4 eGo-T Vape Assortment. Mix Colors. 1ct. ..
eGo 900mAh E-Liquid Personal Vaporizer Pen. Assorted Colors. Colors May Vary. 1ct. 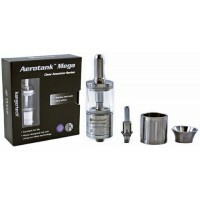 Includes: ..
eGo Ee2 E-Liquid Vaporizer. 1ct. 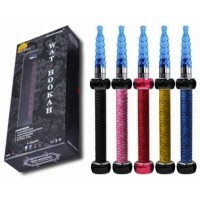 Includes: 1 x EE2 rebuildable Electronic Vaporizers 1 x ..
Evod T8 E-Liquid Vaporizer. Colors May Vary. 1ct. 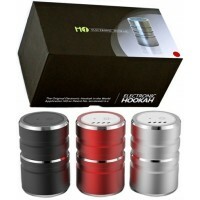 Includes: Evod 650mAh Battery T8 (LED) ..
Hammer Mechanical Mod. 1ct. 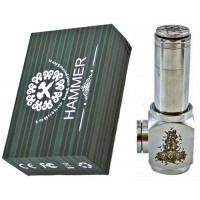 The Hammer mod clone also known as the "Chammer," is a beautifully de..
Isuwacig Wat Hookah Refillable E-Hookah E-Liquid Vaporizer. Color May Vary. 1ct. Includes: ..